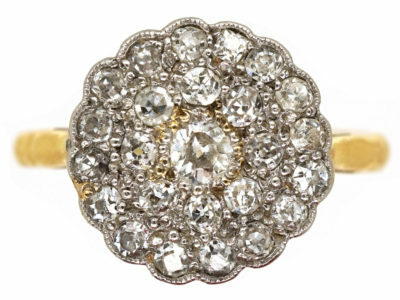 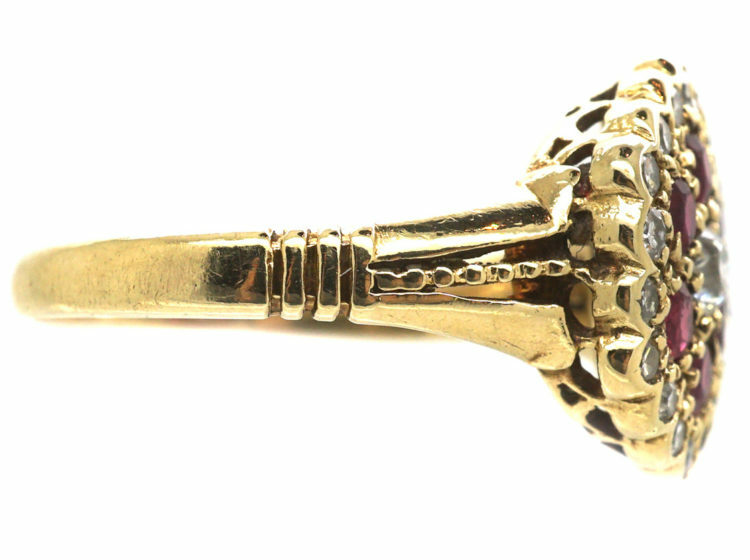 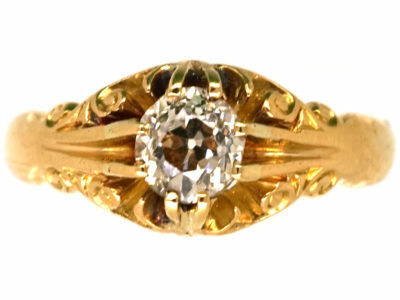 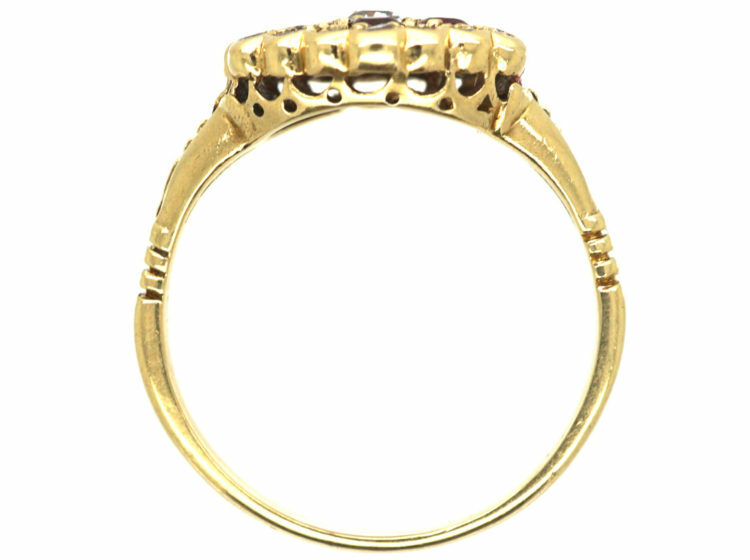 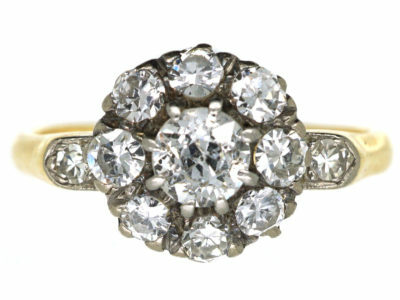 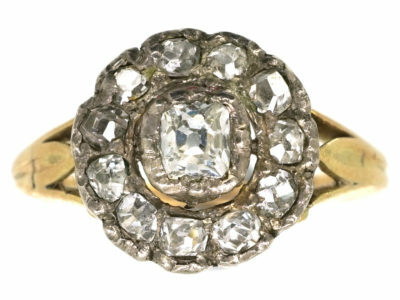 A good looking 18ct gold hexagonal shaped ring that was made circa 1900-1915. 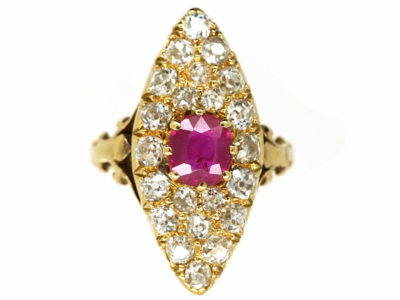 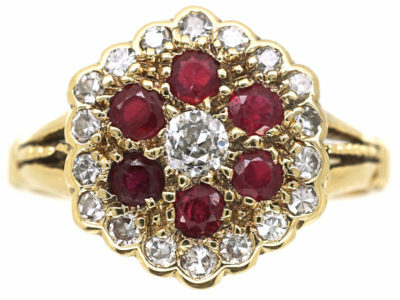 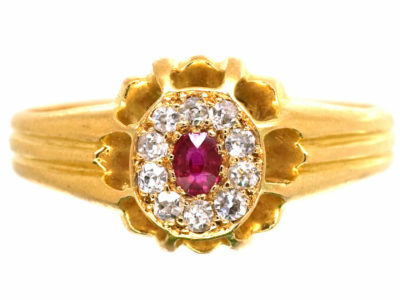 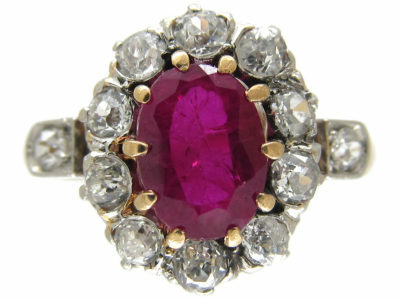 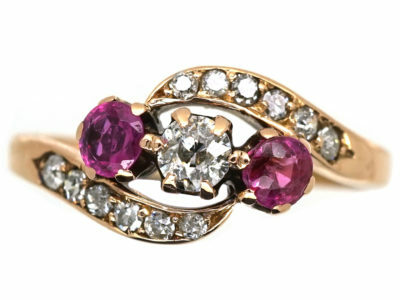 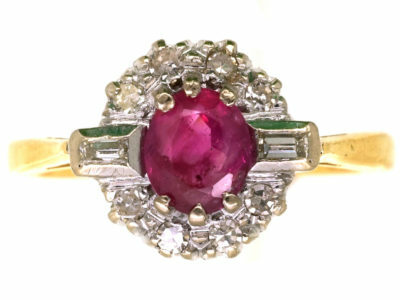 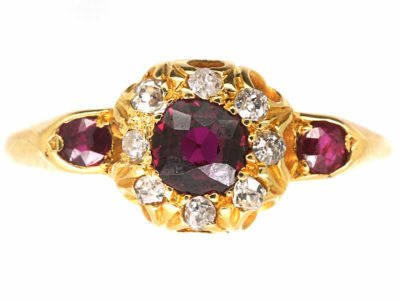 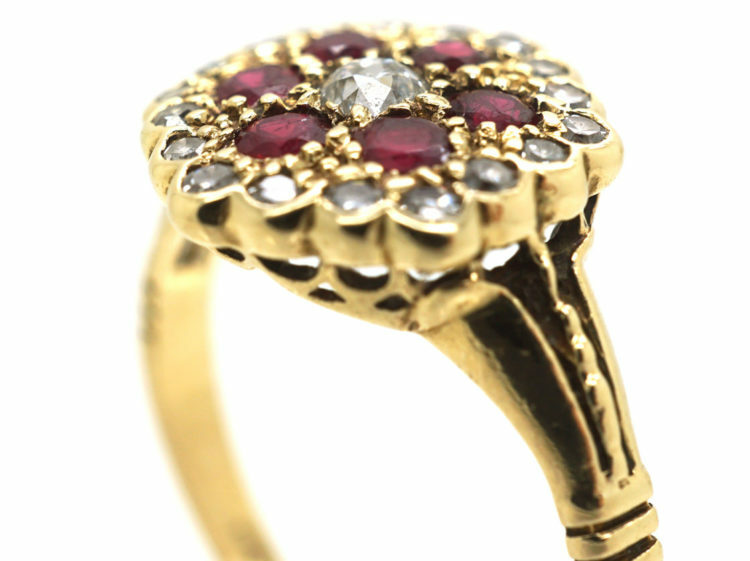 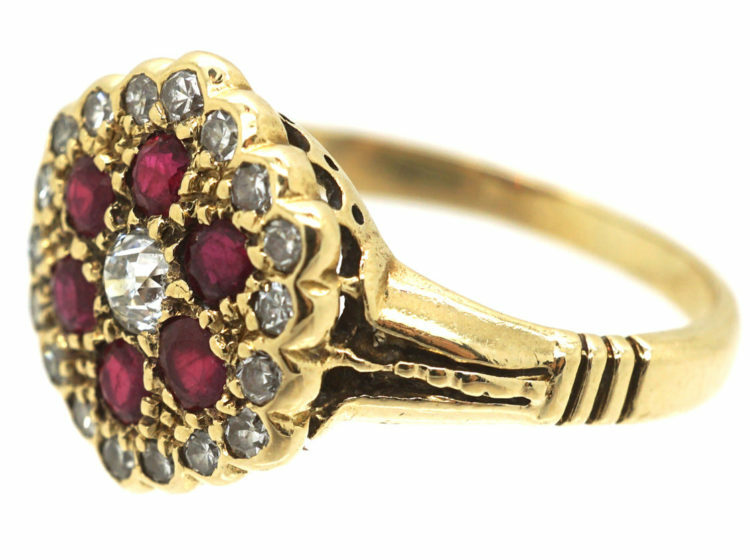 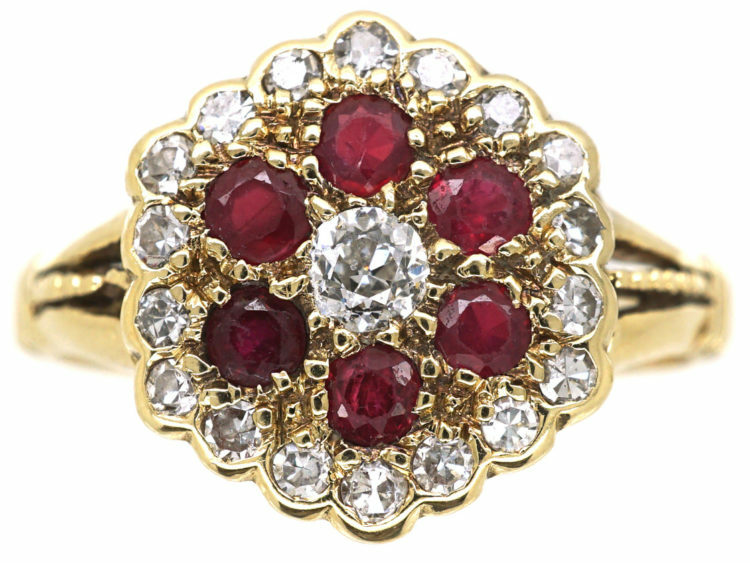 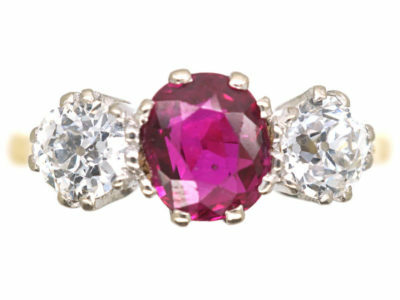 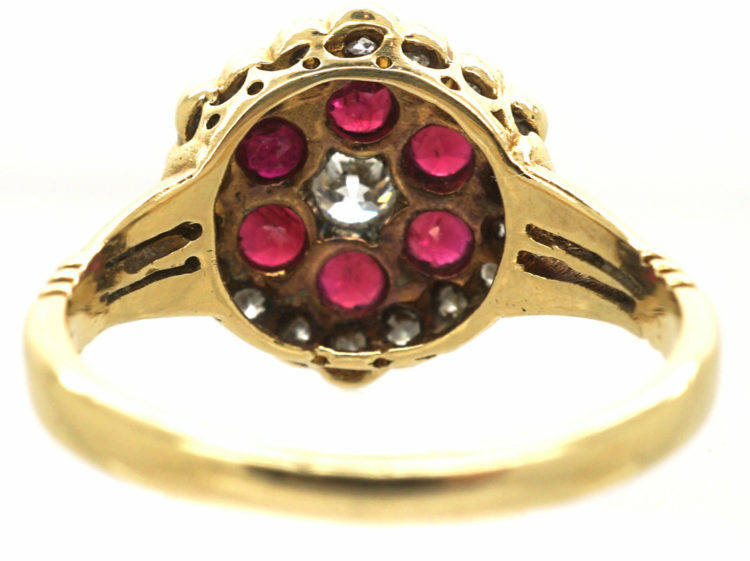 It has been set with six well matched rubies with smaller diamonds around the edge and a larger diamond in the centre. 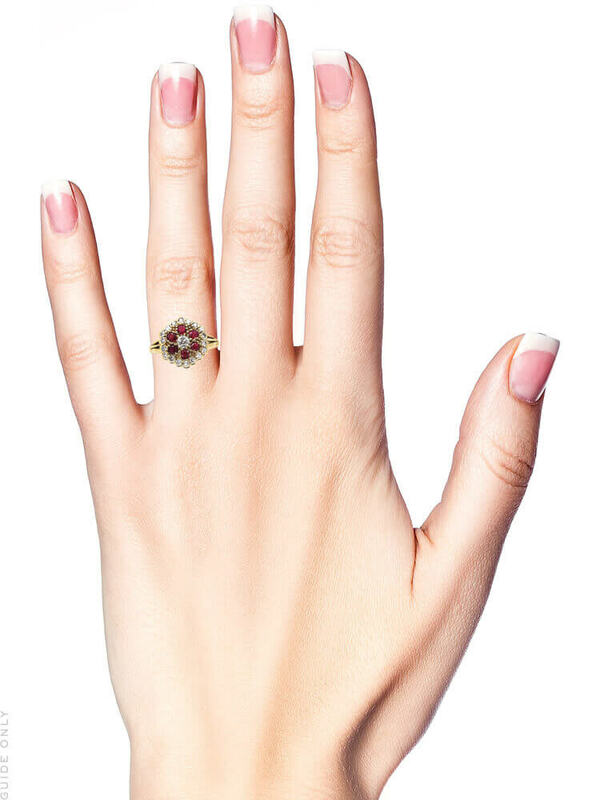 It sits low on the finger so it is practical to wear. 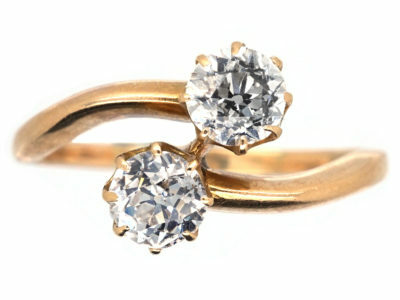 It would make a lovely engagement or dress ring.